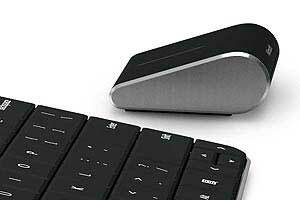 The stylish, minimalist design of the Wedge Touch Mouse will allow you to be productive anytime, anywhere. It is optimized for Windows 8 navigation, works with most tablets and laptops, has wireless Bluetooth connectivity, and BlueTrack technology for using on virtually any surface. BlueTrack Technology works on more surfaces than both optical and laser mice. It uses high-angle imaging optics to generate an accurate picture of the surface.